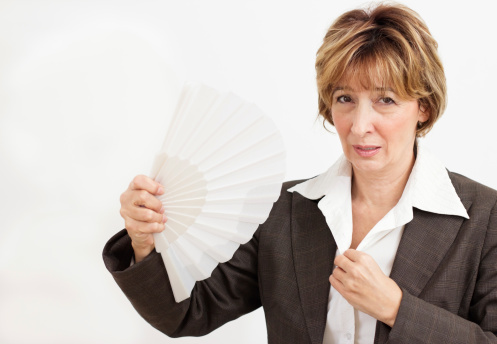 Menopause is a time in a woman’s life that may bring some unpleasant symptoms. Although some women seem to breeze through this transition in their lives, others can struggle for several years with a myriad of symptoms which can include hot flashes, night sweats, vaginal dryness, depression, muscle aches, insomnia, loss of libido, and fatigue. I have always encouraged women to improve their lifestyle to protect them from the effects of hormonal decline and to improve their quality of life. However, recent research about the effects of lifestyle changes on menopause sheds some important light. The study, published in the journal Menopause, looked at the effects of a 12-week exercise program and the development of hot flashes in menopausal women with an average age of 55. The women were randomly placed into three groups: group one performed cardiovascular training exercise, three times per week; group two was a control group and those participants just performed their usual activities; and group three participated in a yoga program. There were 106 women in the exercise group and 142 in the control group (the data from group three was not included in the final analysis). At the beginning of the study, the women in group one reported an average of 7.3 hot flashes per day compared to eight flashes per day for the control group. By the end of the trial, the exercise group showed a reduction in hot flashes by 2.4 contrasted with the control group who had a reduction of 2.6 hot flashes per day. However, the participants in the exercise group did experience better improvements in levels of insomnia, depression, and sleep quality relative to the control group. Although this study does indicate that cardiovascular exercise performed three times per week does not significantly reduce hot flash frequency compared to a control, there are some errors you must know about this stuff. Firstly, the hot flash and exercise details were self-reported which can be misleading. Secondly, the criteria for inclusion of participants in the study was at least 14 flashes per week for three consecutive weeks—this is not considered to be stringent enough criteria to measure any significant differences between groups. Thirdly, the data regarding the third group of participants who participated in a yoga program was not included for comparison. Finally, there was no strength-training exercise included in the exercise group. Strength training can influence hormonal secretion rates and this was completely overlooked. Although this study does indicate that exercise may not be the way to manage hot flashes, there is a very good reason why all peri- or post-menopausal women should regularly participate in an exercise program containing cardiovascular, resistance, and weight-training opportunities: the prevention of age-related risk factors for disease progression which rapidly increase during and after menopause. These include cardiovascular disease, stroke, obesity, insulin resistance, osteoporosis, sarcopenia, arthritis, dementia, and depression. Women who continue to exercise during this period of time and beyond also report improved feelings of well-being and quality of life! MacReady, N., “Menopause: Exercise No Cure for Hot Flashes,” Medscape web site, August 1, 2013; http://www.medscape.com/viewarticle/808813, last accessed August 13, 2013. Sternfeld, B., et al., “Efficacy of exercise for menopausal symptoms: a randomized controlled trial,” Menopause. July 29, 2013.